In this four-week course, we will visit Egypt, the Levant, the Hijaz, India, Central Asia, Europe, Central America, and the United States through a millennium of Arabic writing. The travelers whose work we will read commented on issues of race, religion, economics, trade, culture and so much more. Students will view short videos that describe key texts in the history of Arabic travel writing, medieval and modern, and they will also read original excerpts from these works. Students will also be asked to think of their own travel experiences and be challenged to describe environments, both familiar and strange. Rather than simply read about the most famous medieval Arab travelers, students will read what these travelers themselves wrote in order to imagine how these people experienced the marvelous and mundane places they visited. The history of Arabic travel writing, from the 9th to 21st centuries. Dr. Adam Talib has taught classical Arabic literature at the American University in Cairo since 2012 and in September 2017 he will join the faculty at the School of Modern Languages and Cultures at Durham University (UK). He is a specialist of classical Arabic poetry and the author of the forthcoming monograph How Do You Say “Epigram” in Arabic? Literary History at the Limits of Comparison. He is also an assistant editor of the Journal of Arabic Literature and a literary translator. 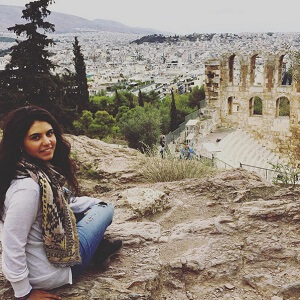 Nesma Gewily is a travel writer and graduate student in the Department of Arab and Islamic Civilizations at the American University in Cairo, specializing in modern Arabic literature. She teaches Arabic literature and creative writing at Zewail City University, and is interested in the representation of the Arab city in literature. Her first book, Irth al-Hikayah, is an account of a year-long journey across Egypt after the Egyptian revolution in 2011. 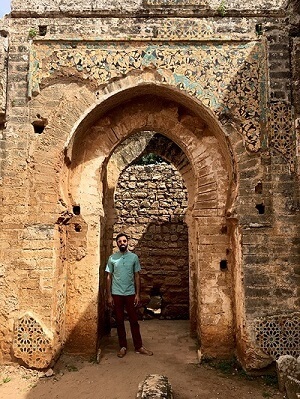 Amira Osman is an architect and graduate student in the Department of Arab and Islamic Civilizations at the American University in Cairo, specializing in Islamic Art and Architecture. Her interests range from medieval Islamic architecture to architectural conservation in the Middle East. She is also an avid traveler herself.